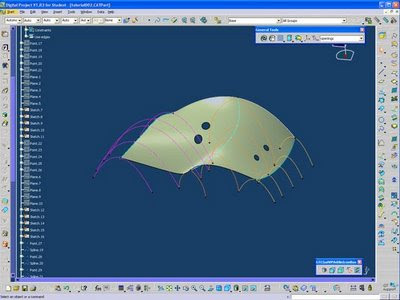 Here is the fourth Digital Project tutorial developed for the ParaMod Seminar. It is 45 minutes long and introduces advanced replication using a simple framework. Click the image below to go to the streaming video. 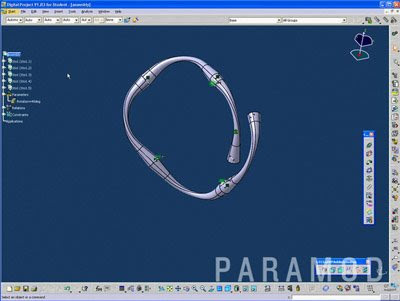 Here is the third Digital Project tutorial developed for the ParaMod Seminar. It is 48 minutes long and introduces solids and part / product relationships. 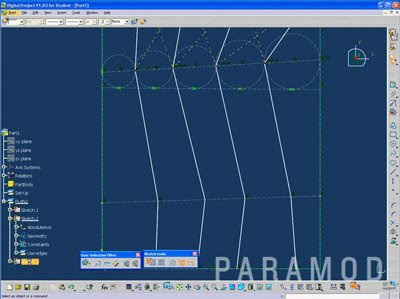 Here is the second Digital Project tutorial developed for the ParaMod Seminar. It is 65 minutes long and builds on tutorial 1. Here we will use the first sketch to drive the height and shape of the covering surface. At this point the form is less of a concern than learning how to develop the interactions. Click the image below to go to the streaming video. I am still working on the best format / size/ player for the tutorials. This one is a bit large and takes a minute to load. 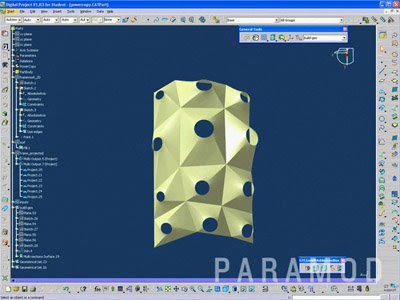 Here is the first Digital Project tutorial developed for the ParaMod Seminar. It is 42 minutes long and covers the interface and the sketch. Let me know if I left anything out. It is that time of the year; back to school. This semester I will be running the ParaMod grad seminar at the Univ or Michigan School of Architecture. Rather than work with a different topic I am continuing the work that we started in the spring term. The seminar will again be looking at the relationship between structure and organization. Obviously the associativity and intelligence of the Digital Project modeling environment allows for various ways to explore the topic. The plan is to post samples of the student work to share the research. A series of video tutorials will be developed to support the seminar work. I will be posting these tutorials here too. Here is a link to the syllabus for the seminar.